The Kukui Children’s Foundation was founded in 2004 to create a center for abused children. It purchased a centrally located building on the edge of historic Chinatown near downtown Honolulu and spent 2 years raising funds and renovating the building to accommodate the needs of the children and families being served. The Harry and Jeanette Weinberg Kukui Center was designed and renovated to meet the need to provide an easily identified and specialized place where abused, vulnerable and disadvantaged children and their families can receive the help they need. Professional and volunteer help is available elsewhere throughout our community but in many different locations. Even when needed, the follow through on referrals can be poor as parents and young adults are often overwhelmed by the demands of their daily lives. Housing a variety of services together is more user friendly for children, youth and families and will help insure they can access the strong community support that is available. This effort is unique because of the outpouring and variety of donations that it has received. In addition to CDBG funding from the City and County to purchase the building, it was granted considerable federal and private support to fund the renovations. Donated professional services, materials and volunteer labor valued at nearly $1 million were contributed by a caring community to enable the project to be completed on time and within its budget. The Kukui Center has served thousands of children and families since it opened its doors in January 2009. It has quickly become an important new community resource. Collaboration is our core value and exists on many levels. The agencies co-located in the building work together to collaboratively provide services to clients, greatly enhancing what is available for children and families. Workshops and trainings are open to clients and staff of all the tenants, eliminating duplication and increasing available resources. Shared staff, equipment and facilities enables everyone to maximize what is available and respond in a constructive way in tough economic times. Strategic planning sessions help us look to the future and identify further ways to collaborate. 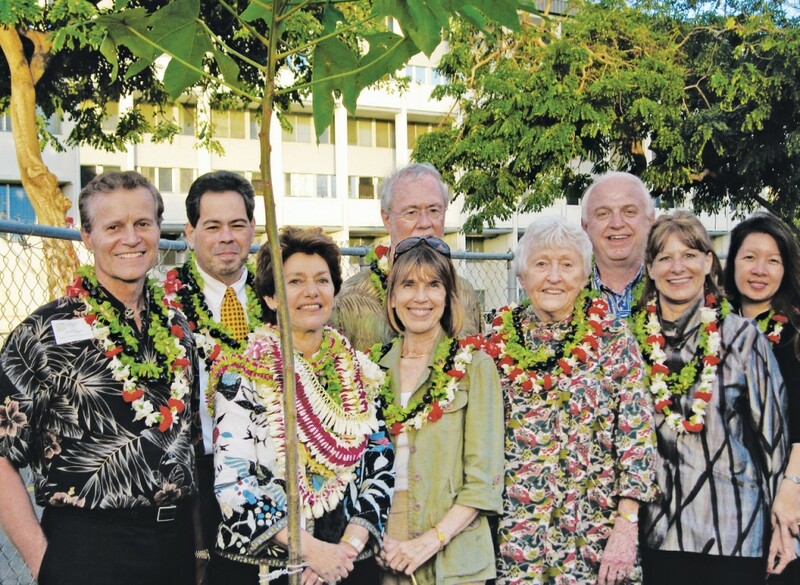 This spirit of cooperation is fostered in a variety of ways: through quarterly tenant meetings and Kukui Center program potlucks, onsite wellness activities for staff and collaborative board trainings. Our conference room is used regularly for meetings, trainings and community coalitions. The Community Partners Program enables everyone to access community support, volunteers and donations for their programs and their clients.